Competition between Google Reader alternatives is heating up, a week before its official closure. Feedly has moved completely into the cloud, helping users migrate their Google Reader feeds automatically. Digg is launching their Digg Reader on June 26th in beta, and now AOL has released their Google Reader alternative, simply named “AOL Reader.” Users can get started by logging in with their AOL account or simply link it to your Facebook, Twitter, or Google accounts. AOL’s news reader features will launch as an invite-only beta, due to “overwhelming interest.” It features a minimalist design similar to that of Digg Reader. In fact, its features and looks make it one of the most generic feed readers out there, which is good for those who are familiar with the familiar two panel look but doesn’t offer features for power-users like Feedly does. 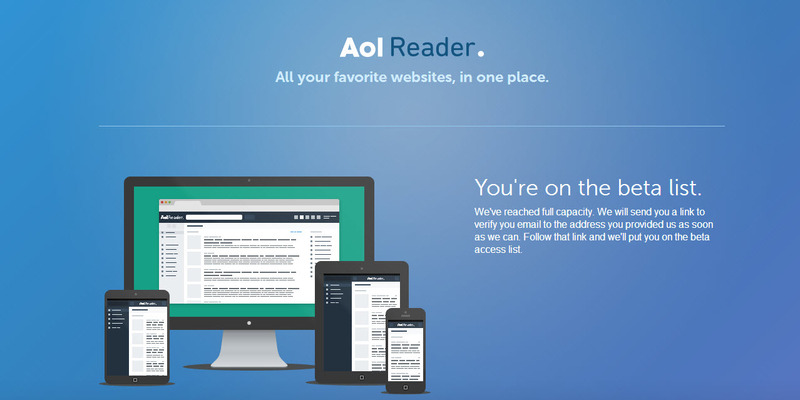 If you want to try AOL Reader, you can sign up at the source link below.